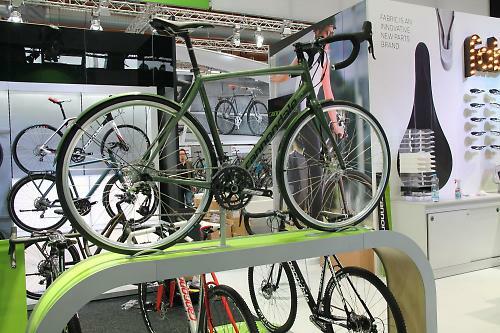 Eurobike 2014 is go - there are new bikes from Cannondale, Bianchi, Felt, Storck, and lots, lots more. First off we'll look at the bikes that caught our eye on our initial canter round the halls - we'll be returning to some of them in more detailed separate stories but for the moment, let's look at some cool bikes, shiny stuff, and nifty innnovations. 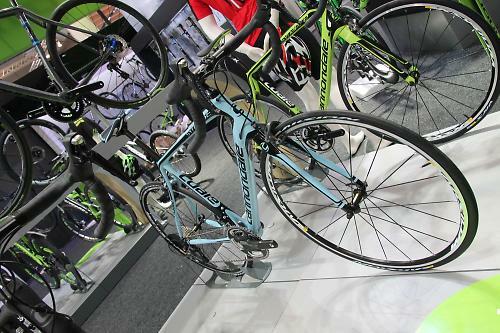 Cannondale had a stand full of interesting bikes - one that instantly caught our eye was this Synapse Alloy disc with colour co-ordinated mudguards as part of the build, and SRAM Rival hydraulic disc brakes. 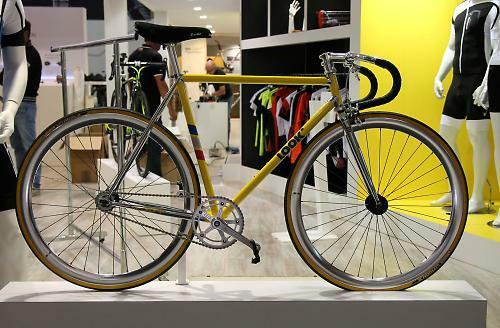 One of the few (and possibly the only metal road bike we spotted on our first wander through the halls with hydraulic disc brakes). No word on whether this model will be available in the UK (we hope so and we’ll find out). On one level it looks like a super practical performance all rounder - with the bonus of the Synapse’s famously comfortable ride. On the other hand while internal routing protects your cables from muck and rain there is some debate at the as to how user friendly internally routing is when the time comes to change a cable. 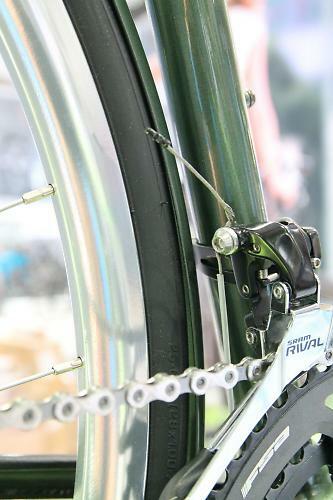 Plus while those mudguards might look the biz the tightness of the clearances is surely going to restrict tyre width choice and you wouldn’t want to get a twig stuck in there. Even so, on looks alone we’d find it a place in our shed. 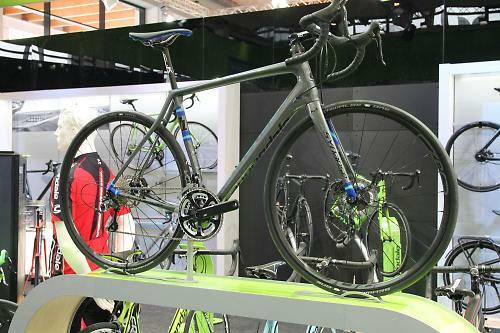 As you’d expect Cannondale had a whole raft of Synapses - both disc and non-disc mainly spec’d with Shimano groupsets. 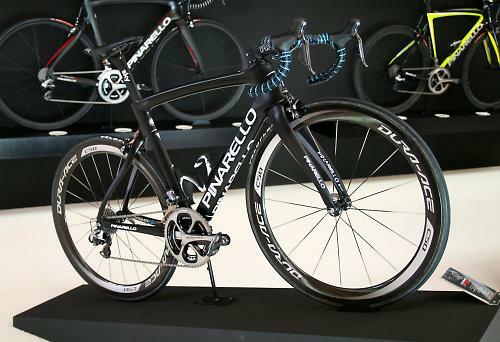 Just next door to the Synapse Alloy Disc was the carbon Synapse Ultegra disc - note Cannondale have gone for 140 Shimano Ice rotors front and back (as have Bianchi on the Infinito CV - more on that later). If you’re wondering the ’71’ refers to the year Cannondale were founded - with the launch of the Bugger (insert cheap joke here). If you’ve got it - flaunt it. 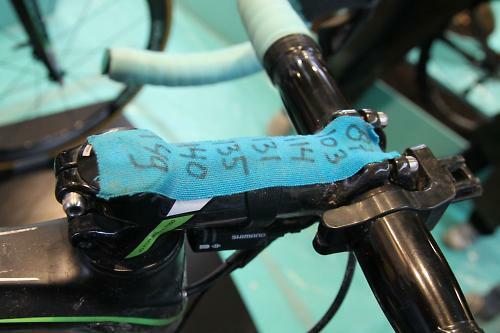 Bianchi had Lars Boom’s Tour de France - Stage 5 winning Infinito CV on their stand - literally put in a bag at the end of the stage and saved for posterity mud, sector notes, water bottle and all - we’ll have more on this in an upcoming story. Felt F FRD. 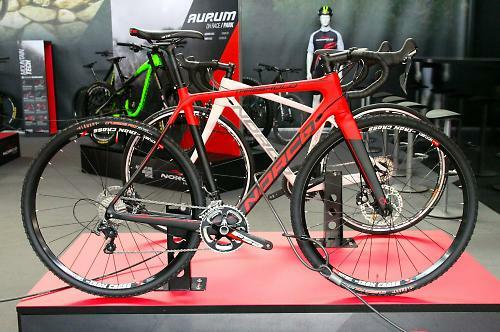 Felt first introduce the F-series road model way back in 1990, and the reckon the 2015 incarnation is the “lightest and stiffest road bike Felt has ever produced.” Well, they would say that wouldn’t they. 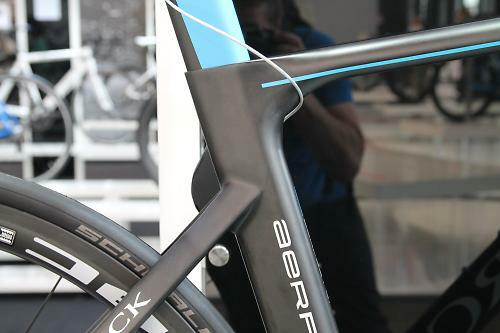 Part of the reason for that claim is the TeXtreme carbon fibre weave they use in the layup of the frame, something no other manufacturer is using, that we’re aware of anyway. Felt Z2 Disc. 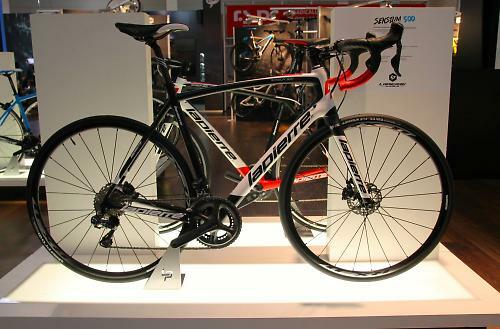 Felt teased us with an Instragram snap of a new Z-series road model with disc brakes shortly before Eurobike, and well here is the brand new disc-equipped bike. 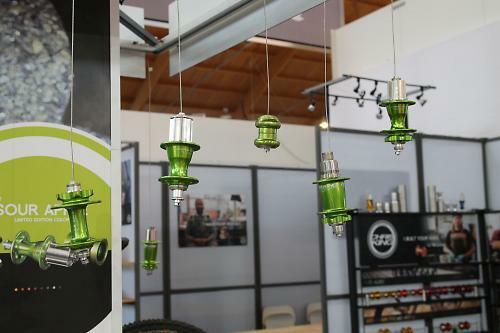 The Z-series is their tag for sportive/geometry models, basically a taller head tube and short top tube to create a more comfortable riding position. 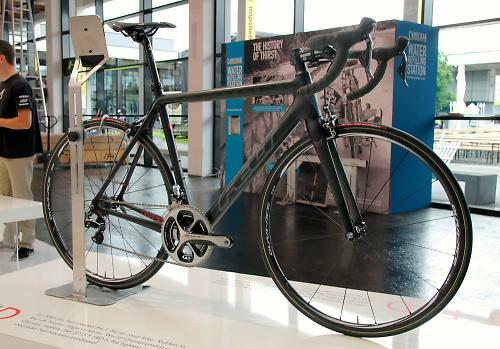 All the cables and even the hydraulic hoses for the Shimano hydro disc brakes on this model are routed internally. Check out our gallery for more detail shots on both the Felts. 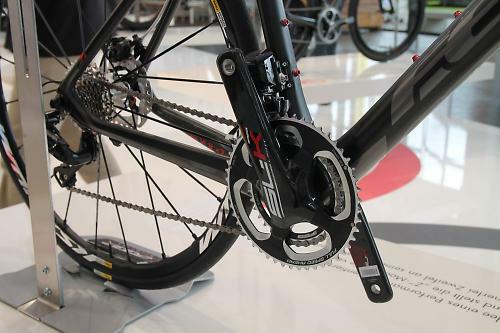 That’s the new FSA SL-K chainset, basically using similar technology to that we first saw in the K-Force chain set. 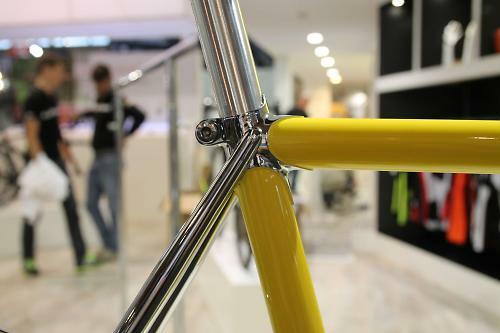 It’s a five-bolt design, with the fifth bolt concealed behind the crank arm. 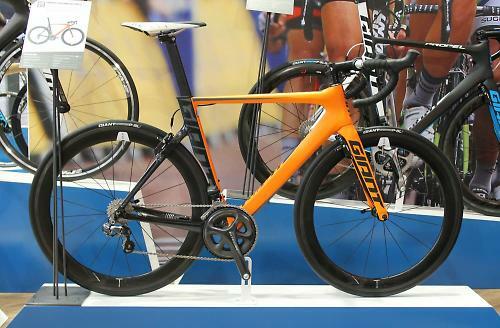 Giant Propel. Aside from all the obvious trends we’ve been discussion for the past couple of days, is the subject of colour and that has occupied our thoughts. 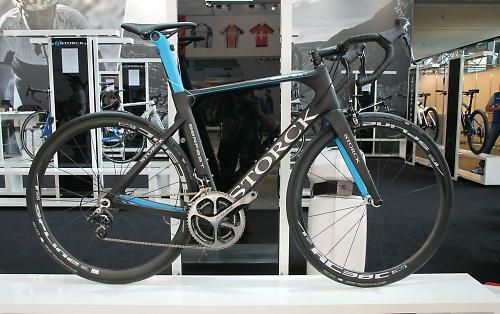 It’s too soon to say if one colour is the flavour of Eurobike 2014, but we reckon Giant have nailed it with this Propel. 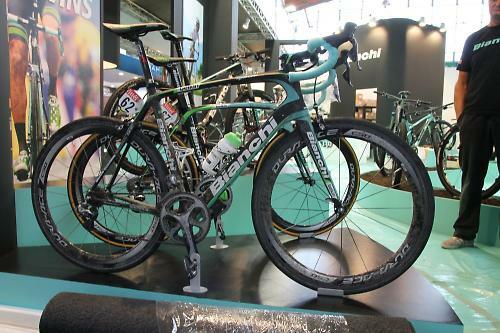 Paint aside there are no significant changes to the aero road bike for 2015. 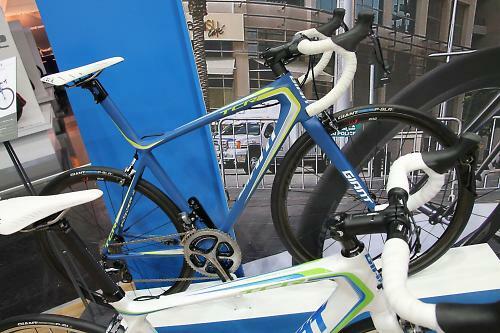 Giant TCR. 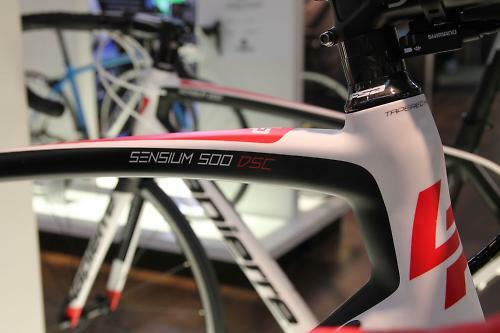 There are also no changes to the TCR for 2015, but given they’ve just launched the Defy, and hte Propel is just two years old, we reckon this bike must be next in line for an update. Norco Threshold. 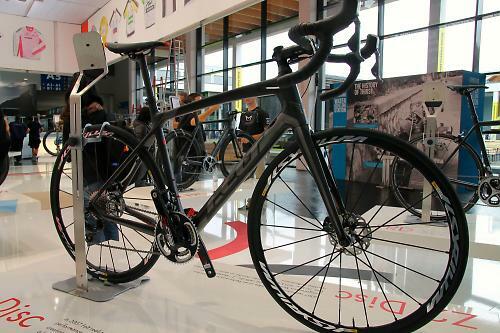 The Threshold is a familiar name - it's a cyclocross bike that's been in their range for a few years now, but this is the disc-equipped model, and interestingly it was one of the few carbon disc bikes with mudguard mounts. 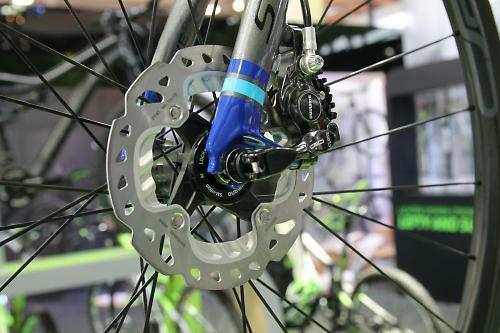 We know there are plenty of readers wanting disc mounts even on carbon disc road bikes, so here’s one to add to the list. It's coming in to the UK and we want one. 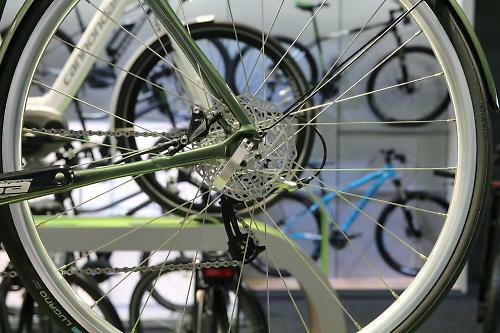 Click here to read all of our stories from Eurobike 2014 - the world's biggest bike show.